It’s Horse Health Week this week, and this year the topic is, Infectious disease: why take the risk? Despite only being March, this year has already proven a slightly turbulent one for those of an equine disposition. The recent equine flu outbreak became a cause of rising alarm as several horses across the UK were found to be harbouring the disease, including some which had already been vaccinated. Trainers were warned that all horses which had not been vaccinated in the last six months should receive a booster shot, pronto, and biosecurity measures were pushed up to the highest level. While the spread was thankfully contained to a few stables, the episode did highlight how more than a few trainers aren’t taking their horses’ health as seriously as they should be. 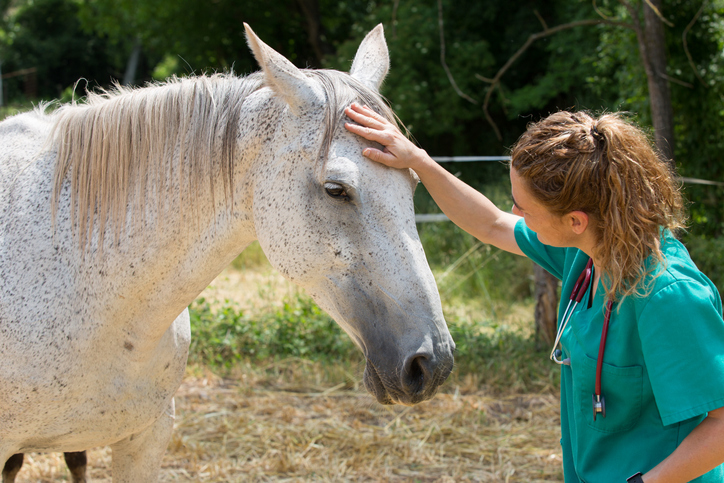 Because outbreaks are so difficult to control, the best option is to ensure that they don’t begin in the first place, and that’s what this Horse Health Week is about. Various organisations are getting behind the plan to promote preventative medicine, such as MSD, which has produced a range of materials such as posters and compliance cards that can be hung at yards to highlight the importance of maintaining standards. You can find out more about MSD’s plan here. If you want to find out more about Horse Health Week, and get involved on social media, you can use the Twitter hashtag #HHWKnowYourRisk. To mark Horse Health Week, we’re offering a fantastic webinar, “Scanning horizons for emerging infectious disease threats to UK horses”, for just £5 + VAT! In this presentation, Dr Richard Newton will look at the concept of ‘horizon scanning’ in the context of emerging infectious disease threats to the horse population of the United Kingdom. In setting the scene for the concept, the importance of infectious diseases to the global horse industry will be argued as will broad requirements for prevention and control of these diseases. Pragmatic definitions of the key terms ‘epidemiology’, ‘surveillance’ and ‘horizon scanning’ will be outlined before exploring the concept further through addressing a number of key questions. i) Why is horizon scanning important? ii) What might horizon scanning involve? iii) What arise from horizon scanning? iv) What resources are currently available for horizon scanning? In addressing these questions, Richard wil address the emerging importance of vector borne equine diseases, the effective shrinking of the globe to horses, the comparison of examples of human and equine transcontinental viral disease transmission, and the range of possible actions, voluntary and mandatory, to mitigate against disease. For each disease case study a brief outline of the emerging threat will be provided, followed by the practical steps taken by relevant stakeholders in order to understand and develop improved preparedness in order to mitigate the associated risks. This talk intends to take you through the concepts of developing understanding and preparedness for emerging disease threats, using examples of real and current diseases of high relevance and potential impact to the UK horse industry – it is not simply a ‘text book’ reproduction of well-known but simply regurgitated facts about a series of exotic equine diseases! This offer will be valid until Monday 1st April, so make sure to get yours now!